Dalai Lama research papers give a biography of the religious and political leader who follows in the steps of Buddha. Research papers on the Dalai Lama trace his biography and spiritual teachings. Paper Masters can outline any aspect of his teachings or life in a custom research paper that touches on this Buddhist leaders amazing existence. 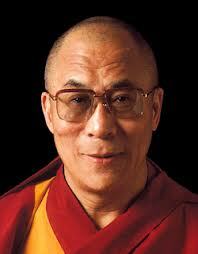 He was born Lhamo Dhondrub on July 6 1935, in a small northeastern Tibetan village called Taktser. It was there that, as a child, he began to exhibit the many signs of one destined for greatness. "A favorite occupation of mine as an infant was to pack things as if I was going on a long journey. 'I'm going to Lhasa, I'm going to Lhasa,' I would say". When a search for the Dalai Lama incarnate lead searchers to his small village, and eventually his home, an evaluation of the child convinced them that they had found him. The child Lhamo Dhondrub, along with his family, traveled to Lhasa, the capital of Tibet, where he began his educational and spiritual training. Much of his early life was been spent peaceably as a spiritual leader, however, when the Chinese invaded Tibet in 1959, the Dalai Lama was forced into exile. It was then that the Dalai Lama began to ask for assistance in the fight against the Chinese from other countries. The Tibetans, known as a peaceful people by their very religious beliefs wanted only support against the Chinese invasion. Today, the Dalai Lama is recognized as a champion of human rights, and has proved to be a man of compassion, the very heart of the Buddhist philosophy. Even throughout the monstrosities of the Chinese invasion of Tibet, he spoke about the Chinese as his brothers. It was on a visit to the Republic of Mongolia, which under Russian rule at that time, that he felt an immediate kinship with the people there. In an attempt to provide hope to those so oppressed, he initiated a link between their two countries. "Mongolia has a similar relationship with Tibet as Tibet has with India. With this in mind, I arranged for an exchange between students from our respective communities, thereby reviving an ancient link between our two countries". Culture of India research papers discuss the traditions, religious beliefs, Indian marriage, clothing, and cuisine of the Indian culture. Classical Idealism - Hinduism and God research papers examine how Hindus philosophically view God. Order a research paper on Classical Idealism from Paper Masters. Comparing Hinduism and Buddhism - Leadership and the Dalai Lama research papers study the leader of Buddhism and his leadership traits. The Phoenix Hall - This particular form of Buddhism which originated in China, was brought to prominence by the Buddhist monk Eshin. The Four Noble Truths - The Four Noble Truths are the core of Buddhist philosophy and are of particular importance to Buddhism, since understanding them encourages people to embrace and follow prescribed practices that promise to result in a life of greater joy and less suffering for their practitioners. Paper Masters writes custom research papers on Dalai Lama and give a biography of the religious and political leader who follows in the steps of Buddha.